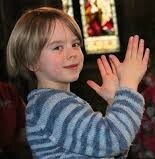 The Jesus we meet in the Gospels was attractive to children. The Jesus children meet in church is less so. This is because we misrepresent him or surround him with so much clutter that the child can scarcely catch a glimpse of him. 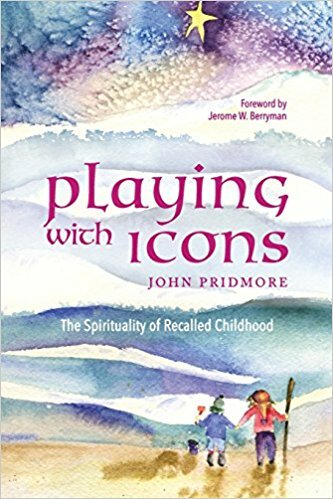 By looking at the recalled childhoods of people round the world, John Pridmore invites us to wrestle with the angel of childhood and in doing so, discover more of what is needed for spiritual flourishing. 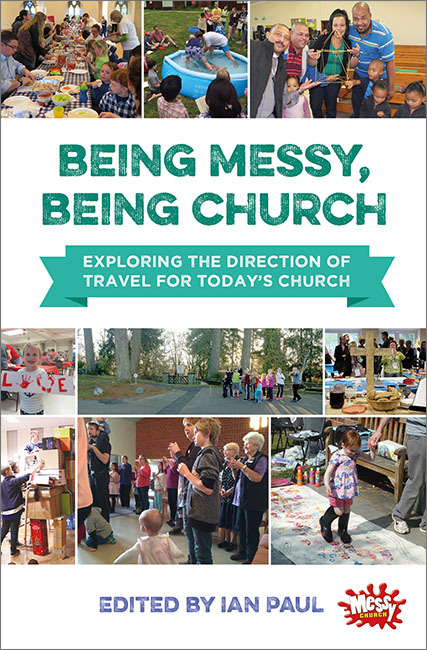 A series of essays explores Messy Church in a variety of forms and contexts - through sacraments, in evangelism, making disciples, creating sacred spaces, for all generations and more - and asks what it brings to the wider church. 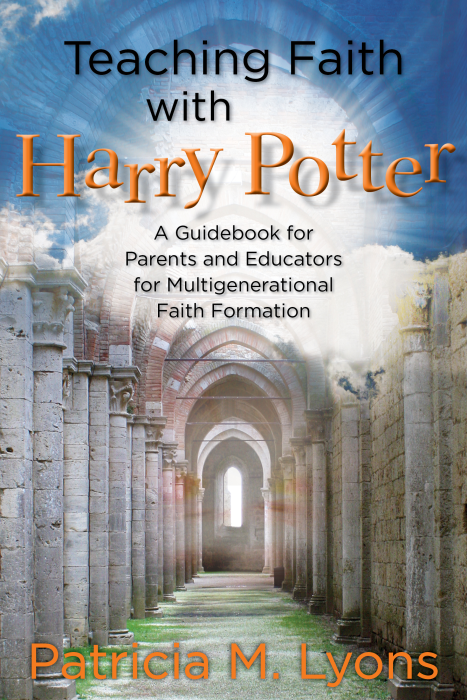 Patricia Lyons, Episcopal priest and school chaplain, takes a fresh look at the Harry Potter books as a way of helping young people grow in faith. Using themes woven into the stories, she explores sin, Eucharist, confirmation, parenting and social activism. I'm writing this just 48 hours after the devastating events in Manchester, when screams of joy and delight at a concert were turned to screams of fear and agony. Our thoughts and prayers are with all whose normality has been shattered through death and injury. In response to a previous trauma, Ruth Harley devised a simple session to use with her young people which she entitled It's not the end of the world. It may help your young people process their thoughts, feelings and responses to what has happened. And on the Going for Growth site, there is a page of resources and sites which also deal with many aspects of grief, bereavement and trauma. I hope that these will be of help in the coming days. 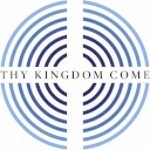 From Ascension Day to Pentecost, Christians all over the world are praying 'Thy Kingdom Come'.If you would like to be part of this wave of prayer - and help children young people and families to join it as well - check out the resources available. And there's a prayer journey available from Roots on the Web. Let's pray for the Holy Spirit's power so that we can unashamedly share our faith, whatever age we are. 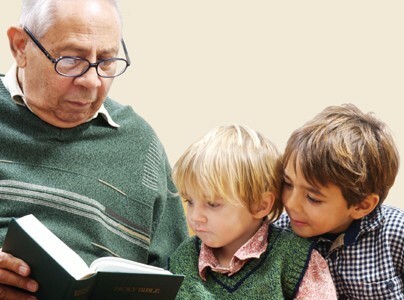 All Age Service or Intergen Church? The body of Christ isn't just adults. It isn't just teens. It isn't just children. It's people of all ages who worship, and pray, and share, and live and laugh and serve together as they follow in the way of Jesus. Too often churches separate age groups yet Rooted in the Church found that young people valued being with the whole church as they grew in faith. Being all ages together isn't about a 'Family Service' once a month - it's about a way of life. Here are some articles to help you think how you might start changing things. What do you do when only one child turns up? You remember that everyone matters! 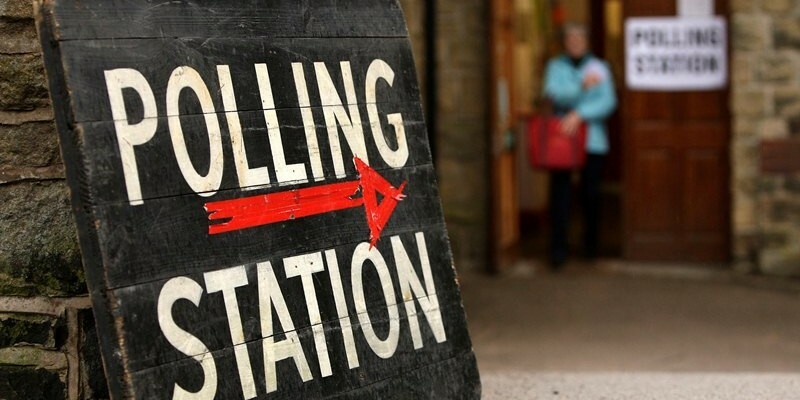 On 8th June we go to the polls and elect a new government. But what might a new Government offer to children and young people? 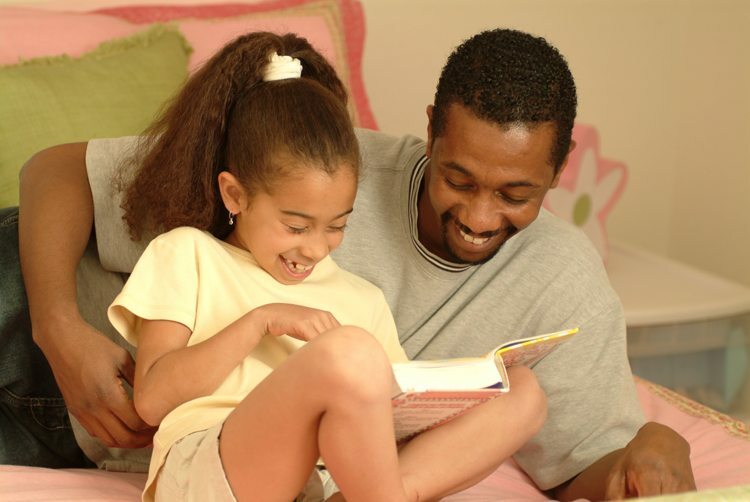 Children England considers what a manifesto for children might include, while the National Children's Bureau looks at the manifestos from the Conservatives, Labour and Liberal Democrats through the lens of what each is offering in relation to children. Toddler groups are great! They can be a life-line for new parents and help build community. The Toddler Project set out to discover how church-based groups might become more confident in their Christian roots. Read what we found - and check out the Top Tips which experienced Toddler Group leaders told us worked for them. And just for fun, take our quiz to see how people might see your Toddler Group! PS June is the National Month of Prayer for Toddler Groups. Gen Z - Rethinking Culture found that families have a huge influence on the way young people think about faith, yet parents often lack confidence to be Christian with their children. Here are some sites which might help. Discover some of the conferences and exhibitions which are coming up by heading to this site. And if you - or someone you know - is looking for a post in children or youth ministry, have a look here. Copyright © 2017 Archbishops' Council - Education Divsion, All rights reserved. The Archbishops have called churches to prayer between Ascension and Pentecost - May 25 to June 4. It is called "Thy Kingdom Come" . Churches and individuals all over the world have committed themselves to taking part. 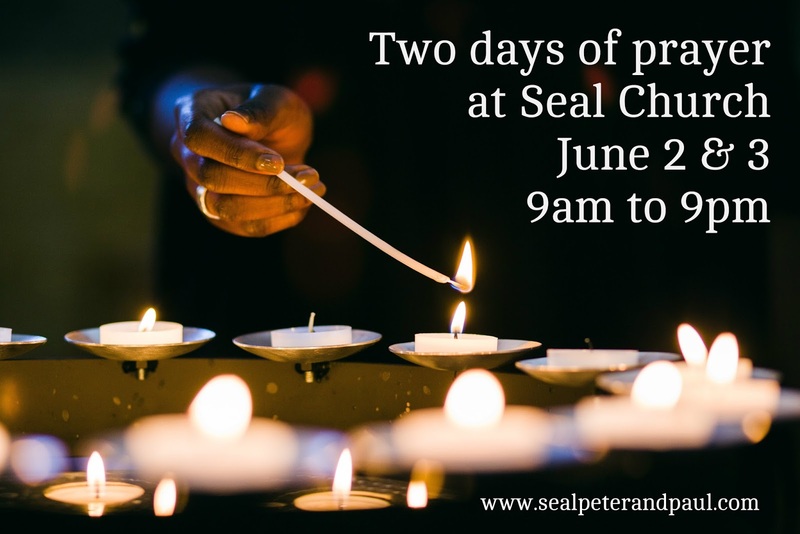 As part of this initiative, we will be holding two days of prayer on June 2 and 3 in church from 9am to 9pm each day. 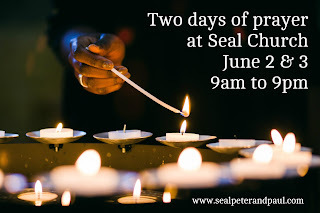 You can drop in to church at any time during those days to join in, but it would be good if people could commit themselves to pray at a particular time, so that we know we have the whole day covered. There is a list bin church, just inside the church, to sign if you would like to do this. You are also welcome to pray at home, and there is another rota in church where you can commit yourself to do that if you would like to. There are booklets of Daily Prayer to take if you want to pray along at home. These will be used at the four services we will be holding on each day, at 9am, 12 noon, 5pm and 9pm. These booklets can also be downloaded here. Can we pray for you, or for someone or some issue you care about during our two days of prayer? Let us have your prayer requests either by email or twitter - tag them #SayOneForMe @sealpandp - or on postcards which can be picked up from church. We will display your prayers, so don't put anything confidential on them! Welcome to the May 2017 newsletter from Inclusive Church. The Inclusive Church Newsletter is a digital publication produced every month. It aims to provide supporters and members with the latest news and information from around the life of Inclusive Church and our partner organisations. I have just returned from one of the most amazing weeks I have had since working for Inclusive Church. For 4 days in May we hosted a visit from the Church of Sweden. We were based in Liverpool and Manchester – visiting churches and schools. One of our trustees who joined us on the visit brings her own reflection in the newsletter. For me one of the highlights was to meet a 16 year old student at an amazing school in Liverpool. Originally from Kabul, he was a practicing Sikh in this Anglican/Roman Catholic school. In spite of many difficulties that most of us can hardly dare imagine, he had such confidence. ‘I am unique’ he told me as we spoke about his life. The group from Sweden were here to look at examples of good practice around inclusion. It was a privilege to be with them as we looked at some amazing examples of how people are getting on with the work of inclusion on the ground. In the face of multi-cultural Britain, in places of poverty and hardship – the work of inclusion is being carried out in stunning ways. The newsletter is full of information about the work of inclusion taking place in equally stunning ways in different places, by different people – so read on! "Including the Exclusive: how liberal can you be?" is the title of this year’s Annual Lecture which will be given by The Very Reverend Dr David Ison, Dean of St Paul's. The lecture and the Annual General Meeting of Inclusive Church will take place in the OBE Chapel, in the crypt of St Paul’s Cathedral. The Annual Lecture and AGM takes place on Thursday 20th July 2017. 8.15 p.m. Refreshments available in the Nelson Chamber. Make the most of having the opportunity to meet people following the lecture in the stunning Nelson Chamber, as we gather around the tomb of Admiral Lord Nelson. The lecture is a free event, but we ask if you would assist with the cost of having wine, soft drinks and snacks. We suggest a donation of £7.50 per person. If you can afford to pay more, this will allow us to be able to welcome those who may otherwise feel excluded from the event. So, once you have booked your ticket - simply go here: https://www.justgiving.com/campaigns/charity/inclusivechurch/iclecture2017 to make a donation. Following the lecture, some people will be going for a meal to Cafe Rouge, opposite St Pauls. If you intend to join us - please contact the restaurant and tell them you will be part of the Inclusive Church group. Previous lecturers have been Martyn Percy, Linda Woodhead and Michael Jagessar and Loretta Minghella. Details of the Inclusive Church Annual lecture can be found here. The theme of this visit to Liverpool and Manchester with the party of (great fun) Swedish Lutherans was Inclusion. The visits we have made to two churches and two church schools, one primary and one Secondary, have been mind-blowing. We heard about how each example that we looked at has worked towards their inclusivity. In one instance, a tragedy that both stunned and galvanised the congregations. We have to process all we have experienced & discussed with our hosts in these churches and schools. On our last morning I got up early and walked across the dunes to the sea. What an amazing and enriching four days it has been with a really lovely group who have such humour; laughter always being a good path to friendship. Now we are left with a great deal to remember and ponder. We are repeating the notice about the Inclusive Church pull-up banners that are available for our registered churches. We have an arrangement with the company we use for Inclusive Churches to order their own banners. Choose from 3 different banners, each one distinctive and striking, that could be used in the entrance area of your church, making a positive statement. We occasionally hear about vacancies at some of our registered churches, and are very happy to help spread the word. Liverpool Diocese is advertising the post of Team Vicar in Kirkby. A commitment to Inclusive Church is a requirement! Sunday 28th May, St Matthews Bethnal Green. The National Coordinator will be preaching at the main morning service. Sunday 4th June, All Saints High Wycombe. The National Coordinator will be preaching at the main morning service. Abundance – 10th June. Inclusive Church will be taking part in this event that will be exploring ways to resource mission in a rural context. Inclusive Church Annual Lecture will take place 6 – 8.30 p.m. on Thursday 20th July at St Paul’s Cathedral. The lecturer will be the Dean of St Pauls, David Ison. The Annual Meeting of Inclusive Church will take place prior to the lecture. Following the lecture there will be refreshments at the Cathedral, and for those who can stay the opportunity to gather together for a meal at a local restaurant. Inclusive Church in partnership with St Martin in the Fields will be holding its 6th Disability Conference on Saturday 14th October 2017. The conferences are distinctive in that they focus on lived experience of disability. Contributors and participants are almost entirely made up of people with lived experience. News about booking will be available in the next newsletter. In addition to the Saturday conference at St Martin in the Fields, there will be related events on the Sunday – with a special service in the morning and a further event in the afternoon. So you may want to consider making a weekend of it! Modern Church is a partner of Inclusive Church and has a place on its Trustee Board. For the first time in its 119 year history, they are seeking to appoint a paid, part-time General Secretary. They are looking for someone with vision to help them support an open and undogmatic approach to Christianity which can face the challenges of faith for a changing world. Application deadline 1st June 2017 with interviews in London on 16th June 2017. The Sheldon Hub is a new free on-line resource for those in ministry. Inclusive Church has been working with others in the planning for The Sheldon Hub over the past couple of years. We would encourage clergy, spouses, ordinands and full-time lay people in ministry to take a look at The Hub and consider joining. http://www.sheldonhub.org/. The Sheldon Hub is a unique on-line space for people in ministry combining a supportive community with ready access to advice and resources for doing healthy ministry together. It's secure and it's free. Join the Open Table community at St Bride’s Liverpool on Sunday 21st May at 6.30pm for their annual communion service marking International Day Against Homophobia, Biphobia and Transphobia. We’ll reflect on the meaning of the day and stand in solidarity and prayer with people both here and abroad who are oppressed by prejudice against their sexuality and gender identity. Here are some details of events coming up at Holy Rood House, Centre for Health and Pastoral Care. 9th - 11th June Living Spirituality retreat 'Creative Conversations' . Through creative arts, liturgy and reflective engagement, this weekend will explore fresh, safe ways towards creating communities of conversation. 7th-10th July - our summer school this year will be celebrating the start of our 25th year of our ministry of healing. The Rt. Rev Dr Rowan Williams will be our main speaker on the Ecology of Health. This is a very popular event - day places are still available and for those who want to stay over there are many local Bed and Breakfast places. 15th July - our open house and gardens. This is a good time to see our new access suite, suitable for wheelchairs and carer and cared for, and our newly reformed chapel area. For more information do see our website www.holyroodhouse.org.uk or ring 01845 522880. May 26 - 29 May. A number of churches will be working together to make sure there's an affirming Christian presence at the festival, centred around the Church at Carrs Lane and St Paul's in the Jewellery Quarter, close to the centre of the action! We hope as many people as possible will be able to get involved - Birmingham is a great and vibrant city, easy to get to, and very, very friendly. Saturday 3rd June 10.30 a.m. – 1 p.m. Safe space for Christian LGBTI people, partners and friends to explore faith, life and church. 15 June 2017 6:00 p.m. at St Anne’s Church, Dean Street, Soho. The event is open to all trans people, their friends, spouses and supporters. Details: 6:00 service at St Anne’s, 55 Dean Street, Soho W1D 6AF, 50 yards up on the left from Shaftesbury Avenue (it doesn’t look like a church but it is), and from about 6.30 a gathering at a Soho restaurant. You can just turn up on the evening: however it would also be helpful to get some idea of numbers in advance. If you do know you are coming, please email Susan Gilchrist at sibylslink@gmail.com. We normally decide on the restaurant to go to at the end of the service. If you are late please ring 07596 197 665. 2017 Annual Conference of Modern Church God: None, One, Three or Many? 10th-12th July 2017 at High Leigh Conference Centre, Hoddesdon, Herts. On Saturday 29th July at 10.30 a.m. an ecumenical service at St Martin in the Field to mark the 50th anniversary of the Sexual Offences Act 1967, which decriminalised homosexual acts in private between two men, both of whom had attained the age of 21. Inclusive Church is supporting this event. The service will be followed by a reception. 27 October 2017 10:00 a.m. - 29 October 2017 2:00 p.m. This residential weekend conference organised jointly by CMEAC and Ministry Division, both of the Archbishops Council, is for men and women from minority ethnic backgrounds wishing to explore the possibility of Ordained Ministry in the Church of England. Parishes and dioceses are encouraged to sponsor interested participants to attendance to the conference. One of the Inclusive Church Resource books is given over to Poverty. In this Christian Aid week, maybe it is worth not only giving but also reflecting on some of the issues that are at the heart of the work of Christian Aid. To ensure that you continue to receive this newsletter, please make sure you let us know if you change your email address. The content of the newsletter is drawn from a number of sources including individuals and partner organisations. The views expressed here do not necessarily reflect a 'formal viewpoint' of the Inclusive Church trustees, individual members of Inclusive Church or registered Inclusive Churches. Print it off and make it available for people in your church. Copyright © 2017 Inclusive Church, All rights reserved.